Transforming a room’s interiors always adds freshness to the room. And when it is the matter of a bedroom; then, keeping it stylistic is mandatory. Certainly, it is one of the most relaxing places in a house and one should lend a smart touch to their room. One type of interiors for a longer period of time makes the environs boring. Certainly, transforming the room interiors might be a daunting task. But, actually, it is not because using specified forms of linens and wall décor may just do the work. By using them in the room, one can change the outlook of their bedroom and make it look more appealing than before. Bored of the simple and suave outlook of the bedroom? Willing to transform a room into a palace? Well, giving it a Rajasthani touch will be exclusively wonderful. 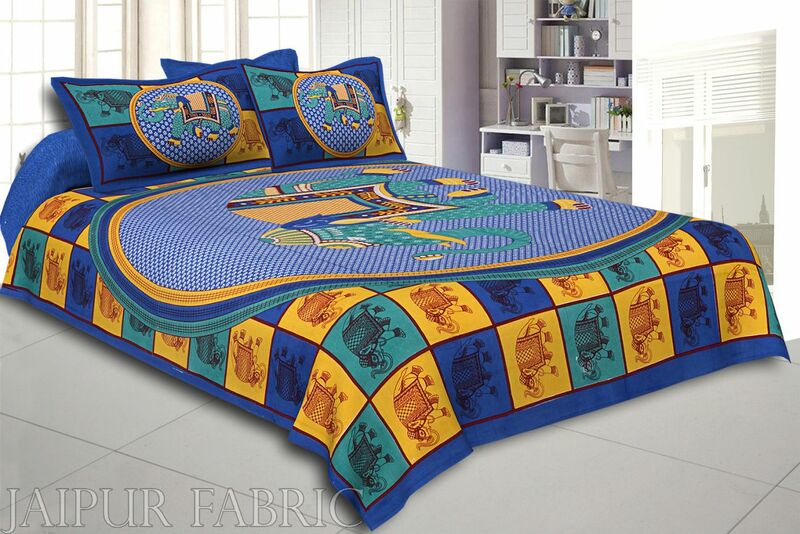 In this regard, making use of the traditionally printed Rajasthani bedsheets is the idea choice. Here, one can make sure of using traditionally printed bedsheets with Akola prints or thread work or even patchwork. 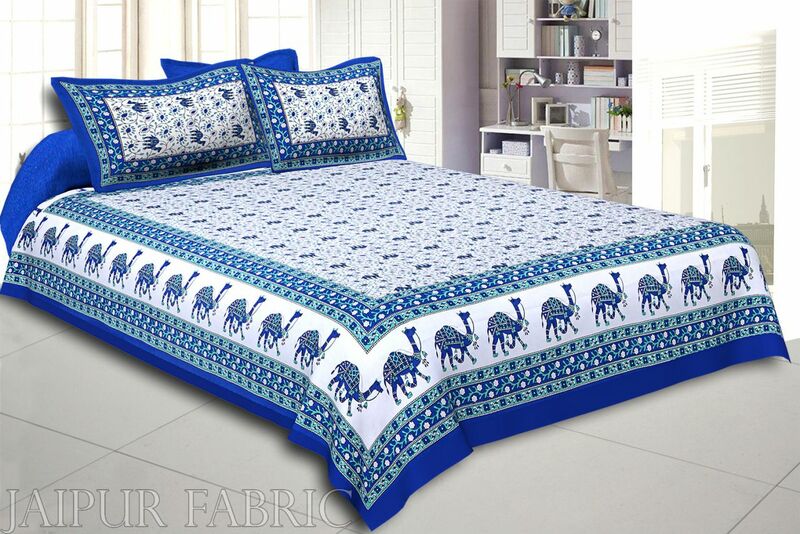 These bedsheets simply look gorgeous in the bedroom and enable the visitors to appreciate. Along with this, having cushion covers matching to the bedsheet is important as they tend to create a wholesome effect. Each and every masterpiece belonging to the royal state of Rajasthan is bound to add royalty to your bedroom. Apart from the bedsheets and cushion covers, making use of wall hangings will give a traditionally Rajasthani touch to the bedroom. Generally, these wall hangings are manufactured extensively from patchwork and exquisite thread work crafted on it. The most important part of revamping the bedroom is that it looks simply gorgeous. The wall hangings developed from high quality fabrics, they are extensively beautified with the magic of embroidery patterns. Along with the embroidery, there are small balls hung on the corners of the wall hanging with some of kind of mirror work. This tends to enhance the look of the wall hangings. Some of the home owners hang such wall hangings at the entrance of their bedroom; while, many others dedicate a special wall for them. This makes a room look like a royal bedroom in the palace. And of course, placing a few showpieces belonging to Rajasthan will surely add the necessary flavor. There are many people, who have small couches in the bedroom that can be decorated well with the Jaipuri cloth pieces. Such pieces enhance the look of the room more than it was before. These days, there are a variety of websites that sell high quality products ensuring quality product. Buying online is the perfect thing because people happen to buy a lot of products without having to roam around. In this regard, one can check numerous products from Rajasthan and place the order online. Even, the price of the products is well within the budget allowing people to get thir favored masterpieces at affordable rates.